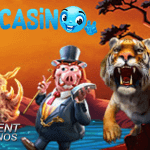 During the month of April, you can join a lot of (live) casino fun at Hyper Casino with the incredible daily €100 Blackjack Challenge and the enjoyable Jungle Slots Tournament with an attractive €3000 prize pool to be divided among some lucky winners at the end of the month. 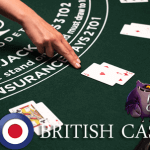 Let’s start with some serious Live Blackjack stuff that will for sure interest you, especially when Blackjack or Live Blackjack is the game you’re interested in. And how can the Live Casino not be one of your popular online casino destinations? 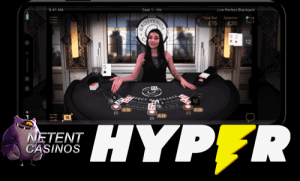 Live Blackjack is one of the most popular live casino games at Hyper Casino and therefore it’s understandable that this game was selected for the monthly challenge. Good for you, because of this fact, you have until the end of April to win €100 a day playing the best live casino game available! Play Hyper Casino’s Live Blackjack and make sure you’ll end up winning your first 5 hands of the day which is enough to beat the challenge! Receiving a Blackjack isn’t as easy as you think, but winning 5 consecutive hands isn’t that tough. However, to come up with a true challenge, Hyper Casino is asking you to win your FIRST 5 hands! You don’t need a Blackjack and neither is Hyper Casino asking anything else complicated! It just gives you the opportunity to make some extra bucks winning your first 5 hands in Live Blackjack. To increase your chances of winning, you make sure you visit Hyper Casino daily to enter the Live Casino. You then make sure you play at least five hands to beat the challenge. If you win all of them, you got yourself an extra €100. If not, you just return the next day to make sure you give it another try. And while you’re at it, why not visiting one of the games involved in the Jungle Slots Tournament to climb the leaderbord in order to win a share of the €3000 prize pool with an amazing first prize of €1500. …tonight! So while the lion is sleeping, the jungle becomes a safer place, the perfect moment to give the jungle slots at Hyper Casino a try. Jungle slots are more popular than ever before and these special slots are perfect for another monthly slot tournament at Hyper Casino. This time with an incredible €3.000 prize pool to share while some of the most enjoyable NetEnt slots have been selected! While Gonzo’s Quest™, Jumanji™, Jungle Spirit™, and Temple of Nudges™ are often involved in the slot tournaments, I just noticed that only the Temple of Nudges™ and Jungle Spirit™ have been selected for Hyper Casino’s Jungle Slots Tournament. 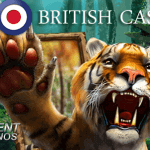 Although I love the other two jungle games, I’m sure you’ll have enough fun with the two NetEnt slots selected while another great number of jungle slots from other providers are available for this casino tournament. To make sure you qualify for at least one of the above prizes, you keep playing the selected jungle slots in order to climb the leaderbord. The higher you climb, the more choice of winning an extra cash prize this month while enjoying video slots as usual. To make sure you qualify for the slots tournament, you play one or more of the selected games. You play at least 100 game rounds to qualify with a minimum bet of €1 and a maximum bet of €50. 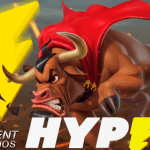 All registered Hyper Casino players can participate in the tournament. Only customers with at least one completed deposit qualify for the prize pool. 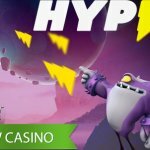 Hyper Casino is praised for its user-friendly platform that offers speed and efficiency! 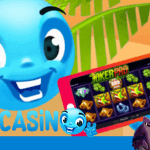 At this flashy online casino, you get a chance to enjoy some features that truly adds to your online casino experience. Switch easily from the one game to another, for example, without the need to go all the way back to the lobby. There’s a handy window on the right side of the game which you can use to search for your next game and where the monthly offers can be found as well including the Challenge and the monthly slots tournament. Of course, that’s not all as there is and there’s much more. To find out more, you make sure you read the extended Hyper Casino review on this site, but if you know what you want, go for it! Join the Live Blackjack Challenge and go for the Jungle Slots Tournament! As a new player, when you open an account at Hyper Casino, you’ll enjoy a Welcome Bonus package worth up to £/€/$ 300! After a quick registration process, you can directly claim a 100% up to €/$/£ 200 welcome bonus on your first deposit and a 50% bonus up to €/$/£ 100 on your second deposit.